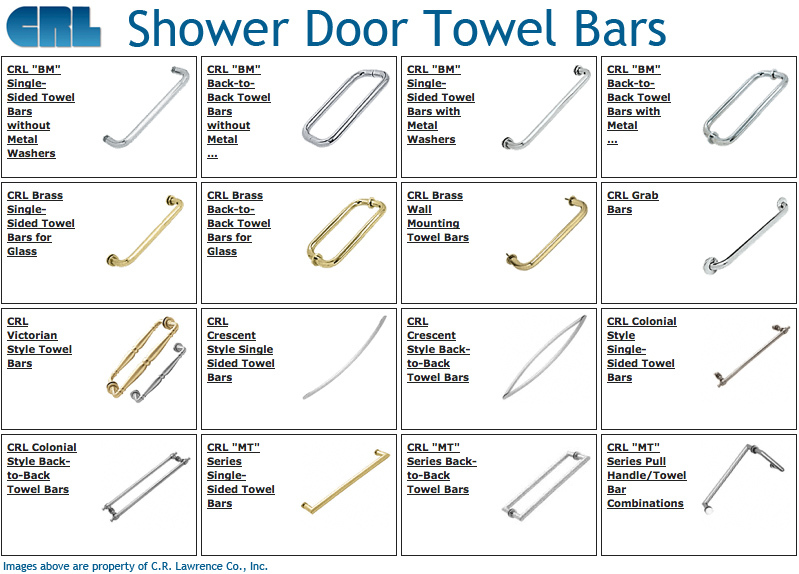 Choose from a variety of shower door towel bars. Shower hardware is just as important as the glass used to make the bathroom shower enclosure. We use top of the line hardware by CR Lawrence Co, to provide you with high-quality hinges, glass clips and handles made from popular finishes such as solid brass, bronze, brushed nickel, chrome and various other finishes. See towel bars section of C.R. Laurence website for additional information. 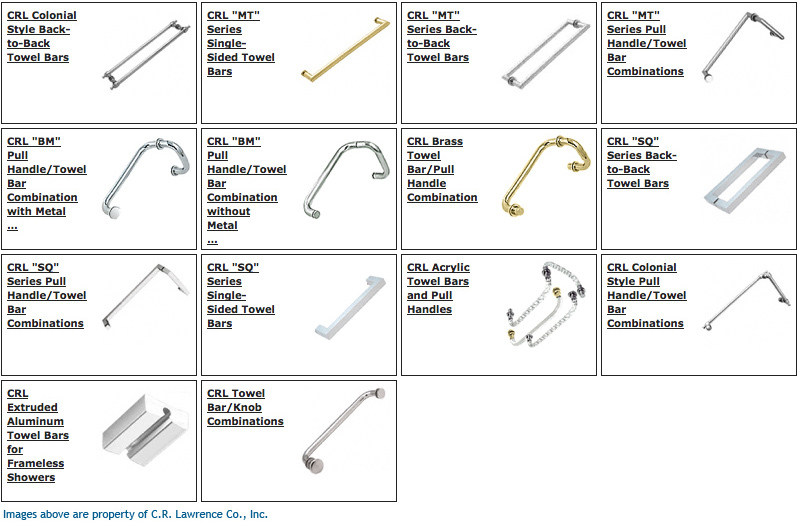 Get more information about towel bars from the C.R. Laurence website.